Moscow State University is launching a new scientific research center. 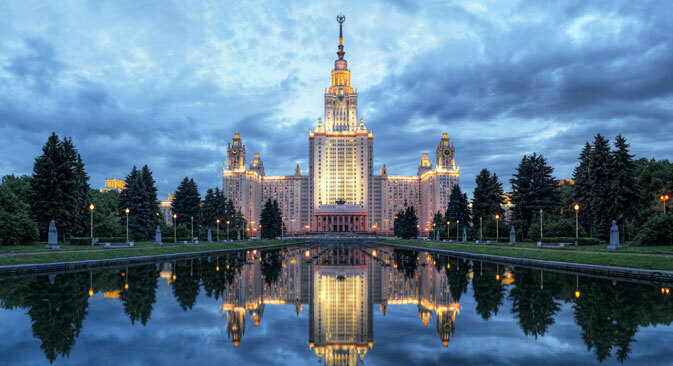 The Lomonosov Moscow State University (MSU), one of the oldest institutions of higher education in Russia, is yet another aspirant hoping to become the Russian analogue to America’s Silicon Valley. MSU is planning to build a 430,000 square-meter cluster to be used for scientific research near the university’s main campus. Is there enough room for two scientific clusters? This is not the first time that someone has tried to set up an analogue to Silicon Valley in Russia. In 2010 the country witnessed the emergence of the Skolkovo Innovation Center located at Moscow’s western edge. According to experts, the establishment of yet another research complex is a sign that the demand for scientific developments is growing, even if it is happening at a slower than hoped for pace. Here Fakhretdinov has highlighted the fact that the system of state orders is oriented to the needs of big business, while small and medium high-tech enterprises have little representation in this area. Only recently has the Russian government begun to tackle this problem. In December 2014 the government pledged to reassign 18 percent of all annual orders held by large infrastructure firms and state companies to small and medium concerns. Who are the drivers of innovation? According to experts, despite the recent growth in demand for new technologies, the structure of Russia’s raw material exporting economy doesn’t stimulate the development of innovations. “There have been significant expenses devoted to research and development in the domain of defense, but on the whole this sector has very limited influence on the development of Russia’s economy,” says Moisey Furshik, a manager at the FOC consulting firm. According to him, the MSU project is promising, but it doesn’t seem to offer as much in the way of facilities and a new administrative approach as compared to Skolkovo. In Tabakh’s opinion, the Skolkovo and MSU projects are aiming for different things, so he thinks there should to be enough space for both on the market. Tabakh believes that even today in Russia there are many actors competing for state and private support. These actors include Novosibirsk’s Akademgorodok research cluster, the many scientific settlements located near Moscow, as well as Russia’s numerous federal research universities.